At yesterday's hearing for South African Olympian Oscar Pistorius, accused of shooting and killing his girlfriend Reeva Steenkamp, more details about the night of the murder were revealed: two hours before her death on Valentine's Day, cops were called to the scene of Pistorius' Pretoria mansion over a loud argument. Steenkamp was hiding in the bathroom of the estate when Pistorius fired four shots through the door and into her head, chest, pelvis and hand, reports the New York Daily News. 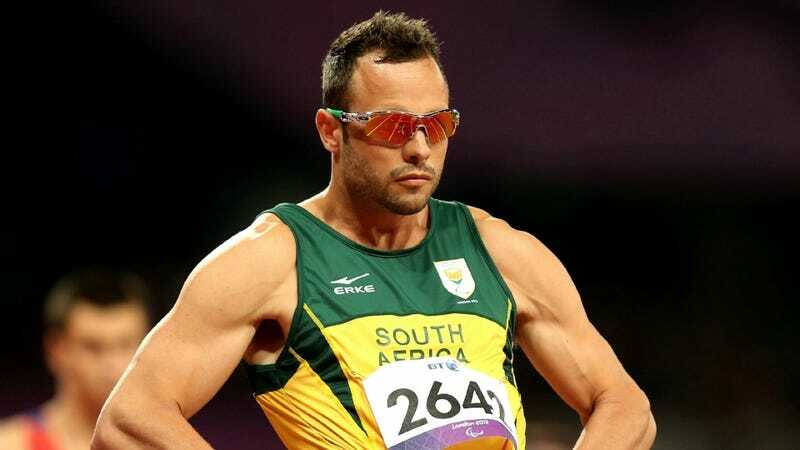 Sources told Beeld, an Afrikaans language newspaper, that when the police arrived, they found Pistorius rushing down the stairs with a bleeding Steenkamp in his arms, attempting to resuscitate her via CPR. The Pistorius family "strongly refutes" the recently-upgraded premeditated murder charge—changed when authorities threw out the claim that Pistorius mistakenly thought Steenkamp was a burglar—which carries a sentence of life in prison. Arnold Pistorius, his uncle, spoke to the AP and two South African journalists about his nephew's state of mind following the murder, saying that he is "numb with shock, as well as grief." He also told the journalists that the two had plans for the future and that his nephew was "happier than he had been in a long time."